At ABLC Next, we invited Genomatica’s Jeff Lievense as part of a special session focused on the scaling-up of fermentation technologies — from the pitfalls to the pratfalls. 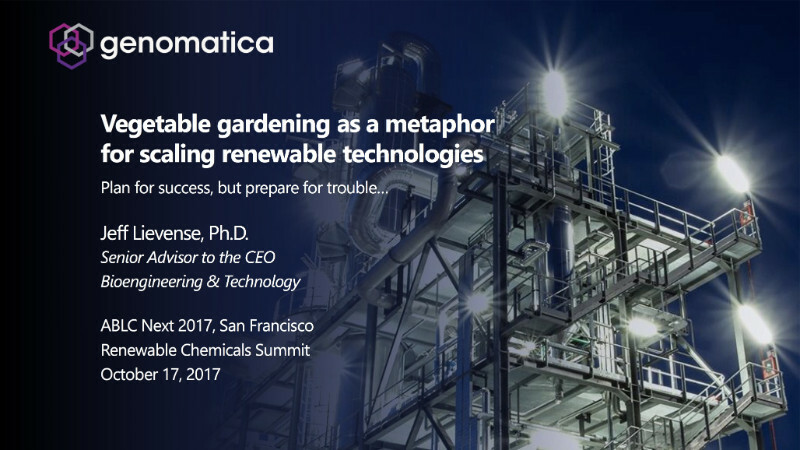 Here’s Dr. Lievense’s illuminating presentation on the state of scale-up — based on a winning vegetable garden metaphoric structure that sheds tremendous light on the scale-up of industrial fermentation. And, there’s some good info on Genomatica’s latest, as well.